This event will be a standard team play bracket. Limited only to USA & Canada. Rules will be 2/3 matches until winners, losers and grand finals which will be 3/5. Loser can switch characters, winner can change order. Sign-up using your PSN handle! Test your connection with various players! Add them and play with them before the tournament! Not at all matches will be streamed, but the top 3 will be streamed! 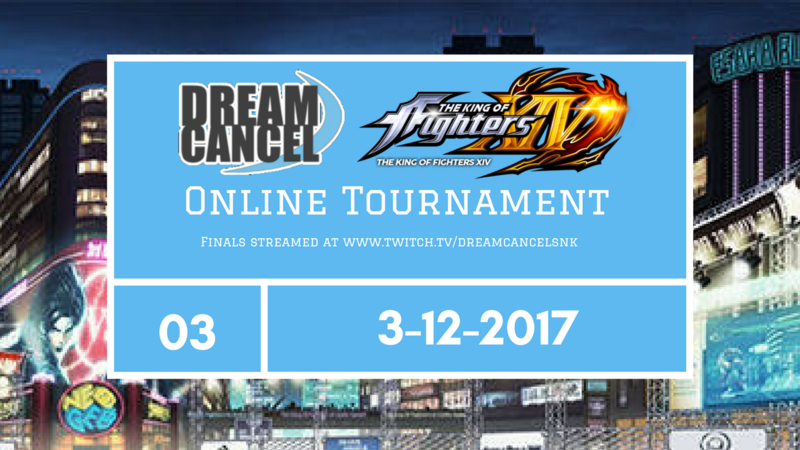 We will meet in the Dream Cancel Discord Server an hour before we start in the #kofanyone text channel! So far, the 1st place winner will select a SNK steam game of their choice!